3ABN Australia Inc is 15 years old this year. 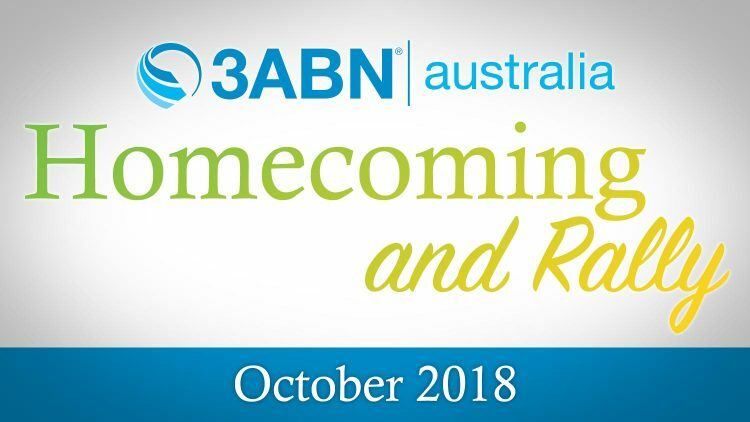 As 3ABN viewers often tell us that 3ABN is like a family to them, and to celebrate this anniversary, we are holding a Homecoming weekend from 6:00pm, Thursday, October 11 to 12:30pm, Sunday, October 14, at Avondale Memorial Church, 584/586 Freemans Drive, Cooranbong, New South Wales. Join us for 13 sermons, two concerts and lots of special items from 3ABN singers and local musicians. This will indeed be a spiritual feast. We invite all 3ABN viewers and listeners from Australia, New Zealand, PNG and any other country, to join us for the Homecoming. We are family so let’s join together in fellowship and worship of God. Bring your family, friends, work colleagues, neighbours – everybody – to hear the word of God preached with power and sung with faith. The following weekend, October 19 & 20, 2018, we look forward to seeing our Tasmanian 3ABN viewers and listeners at Launceston Seventh-day Adventist Church. Greg & Jill Morikone, Pr John & Angie Lomacang, Tim Parton and Ryan Day of 3ABN USA will be there along with John & Rosemary Malkiewycz from 3ABN Australia. There will be special music, a concert, and 7 sermons with the speakers being Jill Morikone, Pr John Lomacang, Ryan Day and John Malkiewycz. Information about venues, accommodation, meals, speakers, and more is available at our Homecoming and Rally 2018 website.